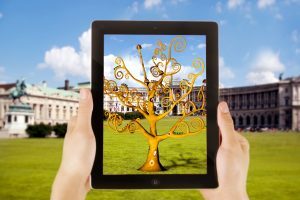 Internet artist collective MoMAR launched an augmented reality intervention at New York City Museum of Modern Art. 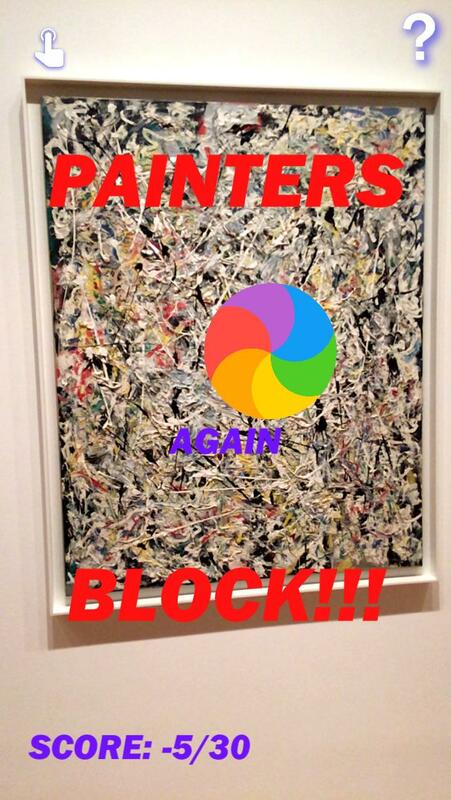 “Hello, we’re from the internet” is an art project that took over the MoMA’s Jackson Pollock room without permission. 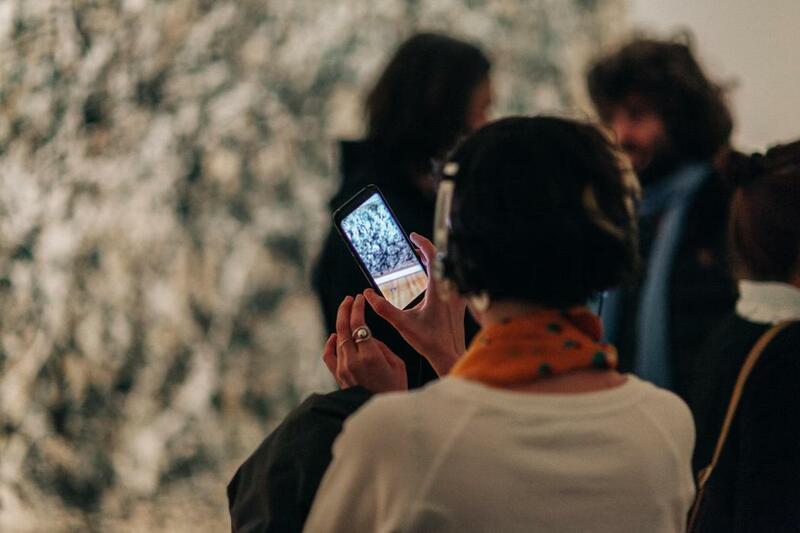 MoMAR are a collective of eight internet artists who transformed the Jackson Pollock room in the New York City Museum of Modern Art into their own augmented reality gallery. “MoMAR,” cariied out the intervention to make a statement against elitism and exclusivity in the art world with its group art installation Hello, we’re from the internet. The eight artists had their own works overlaid on top of seven Jackson Pollock paintings using augmented reality technology. By downloading the MoMAR app, anyone with a phone can see their work. the group wrote on its website. One of AR installations, created by artist Gabriel Barcia-Colombo, turned Pollock’s White Light painting into an interactive game. In the game, mini skeletons quickly climbed up all sides of the painting like spiders. Players controlled a spinning wheel in the center which they have to use to knock down the scaling skeletons. White Light was one of the last paintings Pollock made before he died in 1956—a key thematic element in Bacia-Colombo’s game. The seven other AR paintings varied in content. The one created by Damjanski, called One: Number 12811912112811950, 2018, presented visitors with a gif that merges the faces of Pollock and Ed Harris—the man who played the artist in the film Pollock. MoMAR intends to run, Hello, we’re from the internet for three months. After that they are looking to incorporate galleries from other artists. Sarah Rothberg is an artist who captures the interplay between technology, systems, and the personal, creating meaning through unique and often strange interactions. Her immersive and idiosyncratic experiences represent impossible scenarios: new metaphors that suggest new ways of remembering, thinking, understanding, and communicating. Gabe Barcia-Colombo is an artist, TED fellow and full-time faculty member at NYU. His work has been featured in the Volta, Scope, and Art Mrkt art fairs as well as Grand Central Terminal and the New York Public Library. He recently received an Art and Technology grant from the Los Angeles County Museum of Art where he created “The Hereafter Institute,” a company that questions the future of death rituals and memorials and their relationship to technology. Tara Sinn is an artist living in a black hole. 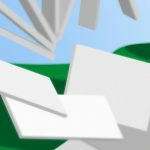 She creates digital paintings, videos, and browser-based works using digital animation, collage and computer-generated imagery. 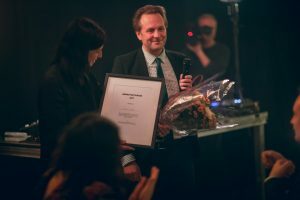 Danish-born artist Louise Foo lives between Copenhagen and New York, where she works with music, sound installations, and new music applications as part of various collaborations. She is Alumni from ITP and New Museum’s incubator NEW INC. She is currently showing the project ‘Format 3’ with Foo/Skou at The Museum of Arts and Design (MAD) and Spring Break Art Show during Armory Arts week. Harald Haraldsson is an Icelandic artist based in New York with output ranging from interactive installations to films and mixed-reality. He is currently an artist-in-residence at Cornell Tech’s Connected Experiences Lab. Previously he was an artist-in-residence at Mana Contemporary and a member of New Museum’s art and technology incubator NEW INC. Harald holds a master’s degree in computer engineering from Tokyo Institute of Technology with focus on computer vision and computational photography. Scott Garner is a multidisciplinary artist working to unite technical, design and craft skills into a cohesive creative voice. Major areas of focus include alternative forms of engagement with technology, issues of beauty and creativity in the modern world and the future of storytelling through interactive media. David Lobser lives in Brooklyn and makes Work, mostly with 3D graphics. Work is defined as a measure of energy transfer that occurs when an object is moved over a distance by an external force. Work is a commodity that involves sweat and is an activity for people that wear shirts with blue collars. David Lobser creates multi-user VR experiences, VR experiences for therapy, and short narrative pieces. Damjanski is an artist living in a browser and co-founder and member of the incubation collective Do Something Good. 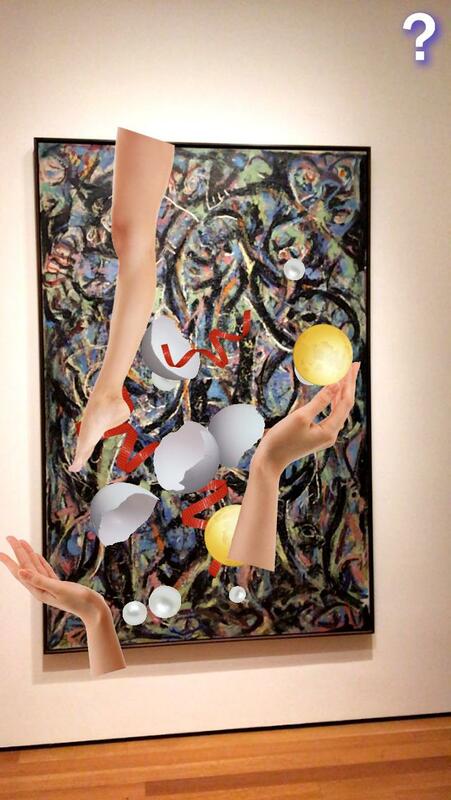 This entry was posted in Art Stuff New York and tagged Augmented reality, MoMAR. Bookmark the permalink. Serpentine Augmented Architecture: a global open call for creative practitioners..